Although I grew up in the Northeast, I have lived in both Summit County and Denver for the past 20 years. I originally came to Colorado in my late teens to attend CU-Boulder. Once I graduated I lived first in Chicago and then San Francisco but the mountains of Colorado kept calling for me to return. Where else but in Colorado can you get beautiful weather in all seasons and all of the outdoor recreational activities? During the summer I spend a lot of my time road and mountain biking, hiking with the occasional camping trip thrown in. In winter, I enjoy our Colorado champagne powder on both skis and snow shoes. I began my career as an accountant, passing the CPA exam and becoming certified in the State of Illinois. Later I became a Project Manager working with clients to implement financial and human resource software. What does this mean to you? 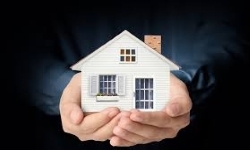 My background and experience means I have the knowledge and ability to understand and explain to you in an understandable manner the complexities of the mortgage world and manage your home loan to its successful conclusion.